Our immune system performs a complex range of tasks to overcome various types of foreign invaders and diseases. Several organs and processes are involved such as bone marrow, lymphocytes, the spleen, lymph nodes, and the thymus gland. White blood cells such as neutrophils, macrophages and dendritic cells identify what is not our body and destroy those cells. Eastern medicine focuses on building up the body’s internal defense system so that the microbe has no chance of getting a foothold. Strengthening the immune response involves building the Defensive Qi, an energetic layer of Yang (warm, invigorating) energy that lives between the skin and the muscles. Since Defensive energy depends on sufficient strength and warmth of the body, this explains why we need to keep our body warm in fall and winter and get enough rest to keep colds at bay. When the Defensive energy is strong we either don’t catch the cold or flu going around, or if we do catch it, our body has the strength to fight it off quickly. One recent study presented by the Sleep Research Society concluded that those who sleep only 5-6 hours per night have a greater risk of catching a cold. The lymph system acts as the body’s internal vacuum cleaner, cleaning up all the microbes and waste materials and flushing them out. Since the lymph system does not have a pump, it requires exercise or therapy such as massage, cupping, or skin brushing to move the lymph to promote proper drainage. For this reason, it is so important to get some type of regular exercise to avoid lymph stagnation which can weaken immunity. There are also foods and herbs that can support the strengthening of the Yang/Defensive energy as well as improve blood circulation to support lymph drainage. Green leafy vegetables (kale, spinach, collards, broccoli, cabbage, parsley), mushrooms (shitake, reishi, chaga, oyster, etc. ), raw honey, goji berries, fermented foods (such as kombucha, sauerkraut, kimchi, miso, tempeh, pickles, yogurt without sugar), coconuts and coconut oil, berries, chlorella, garlic, ginger, green tea. Licorice (avoid if blood pressure is high), tusli, honeysuckle, chrysanthemum, elderberry, black pepper, cinnamon, cloves, oregano, yarrow, tumeric, echinacea. Sugar, artificial sweeteners such as aspartame, sucralose, processed fats such as margarine, trans-fats, fried foods, rancid oils, preservatives, artificial colourings and flavourings, rancid oils, red meat, alcohol, drugs, processed foods, and foods that are not fresh. using this point:) You can find it by placing your hand under your knee cap, then directly under your hand at about one thumb’s distance lateral to the tibia (that big bone at the front of your leg) you will find a depression, or little dip along the skin and this depressed area is ST 36. Give this point some good pressure for several minutes, then do the other side. Another great point is point is Large Intestine 11. You can find this point by bending your arm so that you see the elbow crease on the skin at the lateral side of the elbow joint. The end of the elbow crease marks Large Intestine 11. Pressing around this area may reveal some tenderness. Give this area some good pressure regularly. It is a homeostatic point that regulates both an under-active immune system (frequents colds, flus, cancer) as well as an overactive immune system (allergies, auto-immune disorders). Regular acupuncture treatments can also build up immunity using point combinations to strengthen your Defensive energy, your warming invigorating Yang energy, as well improving circulation of blood and lymph depending on what each individual requires. Each acupuncture treatment builds upon each other and for this reason I recommend a series of 5 treatments. This is why I have put together this Immune-Boosting Package of 5 treatments at a discount price for the fall and winter season, to encourage you to see for yourself the immune supporting benefits acupuncture can provide. for dealing with diabetic neuropathy. One very commonly used point, ST 36 (find this point by finding a slight depression in the skin at 4 fingers below the knee can and one thumb lateral to the tibia bone). Yes, try some acupressure here!. It is considered to be the most important point on the body for its wide range of uses such as strengthening Yin which is considered the root of this disorder, as well as strengthening Qi (vital energy) and Yang, which assists with the complications of Type II diabetes. It is also interesting that some of these points have shown to have the side-benefit of lowering blood cholesterol which is also a important for reducing neuropathies. Type II Diabetes is a metabolic disorder involving resistance to insulin, lack of insulin and high blood sugar. Left unchecked, Type II diabetes can lead to a number of secondary conditions such as degenerative eye disorders , cardiovascular disease, limb pain and numbness, skin ulceration and kidney failure. Maintaining a healthy diet, exercise and medication or herbs to control blood sugar are very important and acupuncture is not a substitute for these. Regular check-ups with your doctor are also important. Acupuncture has been recommended by the Mayo Clinic as a good alternative treatment for diabetic neuralgia (numbness, tingling and pain in limbs, poor balance, etc.). Pain conditions are something I treat daily in my clinic and one of the main reasons why acupuncture works so well for pain is because it increases the flow of energy and blood in the body . This relates to an ancient axiom in Chinese Medicine: “Where there is pain, there is blockage of Qi (energy); Where there is no pain, there is no Qi blockage”. needles. 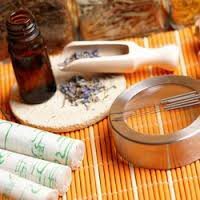 The acupuncturist is required to follow Clean Needle Technique which, among many things, involves cleaning the area of skin to be needle with rubbing alcohol thus making the risk of infection very low. There is an abundance of research studies showing many of the positive effects of acupuncture for Type II Diabetes, more than what I have room to talk about here so I believe it is well worth looking into as a natural way to support the body. Getting enough sleep. A Japanese study showed sleep-deprivation was connected to high blood sugar. 3. Cinnamon also regulates blood glucose. Caution if you have night sweats or a feeling of heat at night, please don’t take cinnamon, it’s too heating in this case. Subhuti, Dharmananda, Ph.D. Treatment of Diabetes with Acupuncture and Chinese herbs (2003). Institute for Traditional Medicine, Portland, Oregon Retrieved from: http://www.itmonline.org/arts/diabacu.htm. If you or someone you know is living with Lupus there is hope. Oriental medicine has had a lot of success with many types of auto-immune diseases such as Lupus. Systemic Lupus Erythmatosus (SLE) is an auto-immune disorder in which the immune system attacks its’ own tissues leading to chronic inflammation. Several or gan systems may be affected such as kidneys, heart, skin, blood cells, joints, brain and skin. Western medicine explains the cause of lupus as essentially unknown but beyond that is believed to be a combination of genetics and environment where some people have a genetic predisposition to developing lupus and then various environmental factors such as sunlight, medications (anti-biotics, anti-seizure meds, blood pressure medications) can be the triggers that set off the lupus symptoms. Commonly used Western drugs such as NSAIDs (non-steroidal anti-inflammatory drugs), corticosteroids, anti-malarial drugs and immuno-suppressants are used to manage symptoms. Although these drugs may be able to control flare-ups to some extent, there are often side-effects with long-term use. Natural therapies such as acupuncture that can achieve suppression of flare-ups as well as get to the root of the disease itself. Oriental medicine describes Lupus as a situation of too much Yang (heat) and not enough Yin (yin=coolness, moisture) which also creates “Empty Heat” or Heat resulting from Deficient Yin. I will publish a post about Yin Deficiency soon. With Excess Heat, often the person has Heat signs such as the red butterfly rash on their face (red=heat) , constipation, excess thirst, a feeling of heat in the body or fever, and dark-coloured urine that may be scanty. The tongue is often red with a yellow coat, and the pulse is often rapid, and full. Heat symptoms tend to show up in the upper part of the body such as the face because heat rises. Lupus also shows up more often in younger people between the ages of 15 – 40 because young people are relatively more Yang than older people. When the Heat is intense it becomes Fire. Fire rises upwards towards the heart and brain which can result in mental-emotional symptoms such as irritability or anxiety. Fire also dries up the body fluids which is why there can be constipation and scanty urine. With Yin Deficiency, there is a lack of the moistening, cooling body fluids in the body which result in dryness as well as Blood Deficiency symptoms such as fatigue, insomnia and hair loss.. With prolonged Yin Deficiency there can be “Empty Heat” which means a relat ive increase in Heat caused by a lack of Yin which shows up as low-grade fever and night sweats. Yin involves all the body fluids including blood and sinovial fluids. A Yin deficient tongue may be peeled (geographic, or cracked) and the pulse may be superficial, thin and fast. Since women are considered more Yin, and require a greater amount of blood and body fluids for healthy body functions (think of how women’s bodies must replace menstrual blood lost each month) , this helps explain why SLE tends to affect women more than men. Photophobia often stems from Yin deficiency of the Liver system (the Liver “opens” to the eyes) causing a lack of moistening fluids (Liver Blood) to the eyes resulting in light sensitivity and dry eyes. Hair loss is also indicated because in TCM hair is considered a surplus of Liver Blood. Discoid (small round) rashes are another symptom of Blood Deficiency as it is the function of Blood to moisten the skin so the lack of Blood causes red flaky rashes. The joint pain in lupus may be the result of the lack of body fluids (Yin) resulting in less sinovial fluids in the joints. It can also be from Liver Blood Deficiency as the Liver Blood’s role is to moisten the tendons and resulting in arthritic pain. Without treatment Lupus can progress into kidney damage and failure. This can be a life-threatening illness so it’s important to chose your treatment strategy wisely. Where there are more severe and acute symptoms such as breathing difficulty and acute kidney issues it’s important to see a Western doctor quickly to prevent serious complications. Once things have stabilized, TCM acupuncture can focus on the other symptoms as well as addressing the root of the disorder. The goals of acupuncture treatment with Lupus will depend on how the individual presents. In general, points will be used to clear the Heat/Fire and strengthen Yin and Blood of the affected channels and organ systems. 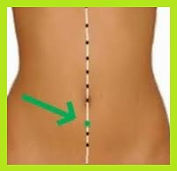 This is achieved by selecting the correct acupuncture points that will do those jobs. Each acupuncture point has its own functions and indications so the treatment will be tailored to the patient’s unique presentation. The treatment for Lupus tends to be longer than other conditions because Yin Deficiency takes a long time to develop and so a longer time to remove. With persistent treatment as well as the guidance I offer in self-care including diet there should be a lessening of flare-ups as well as better energy and quality of life. 3. Maciocia, Giovanni. ( 2005). The Foundations of Chinese Medicine. 2nd Ed. Churchill & Livingstone. Yep, I got one of those nasty summer colds. Here I am in Toronto, in a summer with extreme heatwaves for the last two months, and then getting a “cold” which is not cold at all but making me uber hot and sweaty, as if I weren’t enough already! Anyhow, I just happened to have some yarrow tea on hand (that I just happened to have because it’s a great hair rinse) and it so happens to also be good for “releasing the Exterior” as they say in TCM, or “sweating it out” in lay terms. The cool thing about Yarrow is that once you start sweating it out, this breaks the fever so you end up cooler, yay! I felt perplexed as to why I got this cold in the first place with all the Vitamin D, camu camu, and elderberry that I take. But truth be told, I was spooning back the peanut butter like the factory would close tomorrow. Now that’s a lot of Damp Heat that peanuts create, on top of the damp hot humid weather going on all summer, what’s a girl to do? Oh but it tasted so good! And no problems for two months, then whammo! So I gave yarrow a try and the exciting thing was that this cold felt really different from every cold I’ve had in the last 15 years I’d say. Rather than lingering on for 9 days, it came on hard and left just as quickly. In TCM, when the Defensive energy (read: immune system) is weak, the body can’t put up a big fight against the pathogen so the bug carries on and on. If the Defensive Qi is really strong, the fight is intense, high fever, feeling really sick, then suddenly it’s all over. That’s how I feel this morning. Like these two have had their duel – I couldn’t even sleep til 1 am last night nose running like Niagara Falls, throat sore as anything, achy joints, felt sick as a dog, and now this morning I feel almost normal, congestion all dried up, throat is 90% better, a little bit achy still, and tired because of poor sleep, but it feels like the bug is 90% gone. Wow, that hasn’t happened to me since I was a kid! Yarrow tea is a great decongestant that melts all the phlegm in your body down to a nice watery-ness that your body can expel really easily. My herbal teacher Diane Kent explained to us that some over-the-counter cold medications actually dry up your lungs without helping the body release the pathogen. So the Dampness now becomes Phlegm which is so much harder to expel causing the virus to linger for a lot longer. In a nut shell, if you’re getting a cold, try to take a day off work and load up on the yarrow tea. It will strengthen your Defensive Qi so you can push that mess out of your body quickly and then you can live as normal, but all the wiser knowing that too much Damp foods like peanut butter and a sticky summer heat wave just don’t go together. Finding balance between the masculine and feminine energies is something many people are wanting in their lives. It seems many people find that in this modern age there is a lot of fast-paced, aggressive Yang energy. This creates a craving for the slower paced, quieter Yin energy. Some of the ways we add more Yin energy such as sugar, and recreational drugs are unhealthy in the long run. Luckily, there are also many healthy ways to bring in more Yin energy such as working with the energy systems of the body. Each acupuncture channel of the body has various properties and functions which are activated when the area is stimulated by acupuncture, massage or moxibustion. The main channel that works with the feminine energy is the Conception Vessel (CV) channel. The CV channel runs up the front of the body along the mid-line from the perineum to the chin. It is balanced by the masculine energy of the Governing Vessel channel which runs along the back of the body near the spine, from the perineum up to the head and face. The Conception Vessel channel, also called the “Sea of the Yin channels” is often used for the purpose of nourishing the Yin or the feminine energy in the body. Yin and Yang energies need to stay in balance for health and harmony. Sometimes people have too much Yang or heat/inflammation caused by a relative lack of Yin. In these cases, activating this channel helps them overcome symptoms of Yin deficiency such as anxiety, dry mouth at night, insomnia, dizziness, tinnitus, sweating at night, hot flashes, menopausal symptoms or restless mind. It’s also very interesting to me that acupoint Lung 7 is used to open the Conception Vessel because it affirms what we already know, that using our lungs to take deep breathes helps us to feel more calm and Yin. The Conception Vessel belongs to a set of eight “extra-ordinary vessels” which contain some of the most powerful energy reserves in the body, which we can tap into for extra support. These channels are also used when there are chronic conditions that are often complicated by issues in many organ systems. If you are interested in exploring how to increase your Yin energy and find more balance in your body, acupuncture as well as non-needling technologies can be used to bring relief. I look forward to hearing your comments and questions. If you or someone you know is suffering from shingles, there is a lot that can be done to reduce pain, strengthen immunity and get relief using natural therapies. A word of caution: if you are experiencing the shingles rash, pain or unusual symptoms in your face, eyes or ears, this symptom that can have serious consequences such as damage to the eyes or ears leading to loss of vision or hearing. Please visit your doctor immediately. In Western medicine, the virus causing shingles (varicella-zoster virus) is the same virus that causes chicken pox. When someone gets the chicken pox, eventually the rash clears, but the virus itself does not fully disappear. It lies dormant in the nerve ganglia at the spine waiting for another opportunity. When the immune system is down, the virus may then reactivate, this time as shingles. Since the virus lives at the nerve root in the spine, it tends to affect one or multiple dermatomes or areas that the affected spinal nerve controls. Prior to the outbreak, the immune system could have been weakened by chemotherapy, radiation, HIV, fatigue, organ or bone marrow transplant, physical or psychological trauma or a very stressful life event. Shingles also tends to affect those over the age of 50 more than younger people. According to Asian medicine, shingles is a combination of Wind, Damp and Heat pattern often involving Liver/Gall Bladder and/or Spleen system. It’s interesting that the dermatomes at T9-T12 which are often affected by shingles, is also the area of the spine that corresponds to the Liver, Gall Bladder and Spleen in Asian Medicine. Where Heat predominates, the pain tends to be more intense and the sooner the acupuncture treatment is done, the lesser the chances of intense pain that carries on for months or in some cases years. Palpation of the Fire points shows the extent of the Heat in the body and the corresponding points are treated first before treating the immune system. The Spleen system is also treated because of the burden of Dampness caused by either a pre-existing weak Spleen system (the spleen is also an immune organ in both Eastern and Western medicine) or because the virus itself has weakened the Spleen system which is responsible for controlling Dampness. In either case, Asian medicine offers effective protocols to clear any residual pain or immune weakness caused by shingles. Once the rashes and blistering have died down, there is often lingering post-herpetic neuralgia (read: intense pain) along the nerve pathway of the affected areathat can go on for months, sometimes years. Getting started with acupuncture soon after the pain starts will cut down the amount of time the pain goes on for. Some patients have been told to try various rash ointments that are intended for another purpose such as eczema or psoriasis, but with little success because the pain is not about the skin. It is caused by the infection at the nerve. An excellent remedy for this type of nerve pain is St. John’s Wart oil rubbed onto the affected area. known to depress the immune system within hours of consumption.1 If Heat predominates, avoid hot spices, alcohol, coffee, chili, ginger, mustard, lamb, ginseng, maca and other heating foods or herbs. Ways to support the body’s immunity include immune tonics such as ganoderma (reishi mushroom), fermented foods because they promtote healthy gut flora, zinc, selenium and keeping stress levels down (stress reduces Defensive Qi) through relaxation, exercise and meditation. Has your dentist told you that you are clenching your teeth at night? Do you have facial or jaw pain when you wake up in the morning? Does your jaw hurt when you eat or speak? If so, there is relief. Generally speaking, TMJ (Temporomandibular joint and muscle disorders) issues are a set of conditions that manifest as pain in the jaw joint and surrounding muscles that can lead to pain when eating, speaking, chewing, laughing and even breathing. In the Western medical sense, it is known that TMJ disorders may involve myofascial pain (most cases), structural damage such as dislocated jaw or condyle injury, or arthritic changes impacting the TMJ joint. These causes have been studied and elaborated on further by Master Japanese acupuncturist, Kiiko Matsumoto. When it comes to myofascial pain, people often have pain at the front of the face where the Stomach channel lies as well as inflammation or heat in the Stomach channel that is indicated with pain at Stomach 41 when pressed. The patient will often show fissures or cracks at the centre of the tongue (Stomach area in TCM), and may also complain of issues relating to Stomach Qi such as ulcers, weakened immune system, anxiety, sensitivity to gravitational or barometric shifts such as being in an airplane, weather changes and time zone shifts, motion sickness, stomach flu and certain problems with pregnancy. Acupuncture treatment here involves regulating the Stomach Qi, often strengthening Stomach Yin and clearing any Stomach channel Heat. In terms of structural imbalance, Kiiko outlined how at the root of the matter there is often a sphenoid bone imbalance causing an improper alignment. The patient may have pain on palpation of the temporal area, inguinal ligament or just below the navel. They may also have other sphenoid bone imbalance-related issues such as ear problems, headaches, dental problems, or sleep problems such as sleep apnea. A sphenoid bone imbalance may affect the pituitary gland that lies in the centre of the bone causing a hormonal imbalance. Acupuncture treatment here involves supporting proper alignment the bone, as well as correcting the pituitary imbalance. Finally, issues with degeneration of the bone itself fall into the category of Kidney Essence Deficiency that is most often seen in older adults or those with a constitutional weakness. This may also be associated with symptoms such as insomnia, slow wound healing, skin rashes such as eczema, inguinal ligament pain and temporal headaches. Treatment in this case involves supporting proper bone alignment as well as strengthening the Kidney system. Acupuncture treatment can go along way to preventing as well as healing TMJ by relieving the underlying patterns. Treatment will often be weekly for a few weeks or months depending on the severity and how long the condition has gone on for. Using moist heat such as a hot water bottle or hot pack can be helpful. Eating soft foods and blending foods in a blender can give the jaw a chance to rest and heal. Relaxation and stress reduction techniques such as guided relaxation such as that found at the end of yoga classes and breathing meditations to calm the mind. Sleeping on your side with a pillow between the shoulders and neck. Matsumoto, Kiiko. (2014). Kiiko Matsumoto’s Clinical Strategies: In the Spirit of Master Nagano, Vol. 1 (6th ed.). Hanover, MA: J&R Graphics.